Get Out the Vote: Gerrymander got you locked up? Or will you go vote? BICENTENNIAL CREATURE: Did you know that gerrymandering was named in 1812? This election strategy is nearly as old as the United States itself, although no one held a bicentennial parade for this strange creature in 2012. Click on this original newspaper cartoon to read more of the history at Wikipedia. NOTE FROM DR. WAYNE BAKER: This week, welcome back contributing columnist Terry Gallagher! Primary elections are being held across the country this week, but who cares? With widespread gerrymandering that guarantees one-party rule in many districts, primary elections are more important than ever when selecting our representatives. In 2010, the New York Times’ redoubtable FiveThirtyEight analytic column reported that participation in primary elections has declined steadily since 1966, especially among Democrats. One significant factor is that in many states, primary voters are required to register by party and fewer voters are willing to identify with one party or the other. It’s not just the primaries, though: turnout in general elections has been declining for decades, too. “During this same period, other forms of political participation have also declined, such as voluntary participation in political parties and the attendance of observers at town meetings,” according to Wikipedia. The Our Values research has shown that an American core value is our embrace of freedom, usually taken to mean the right to participate in politics and elections. So why don’t we get out and vote? How about you? What will you do this week? SHARE YOUR THOUGHTS THIS SUMMER: Terry Gallagher will write one more OurValues series this summer. 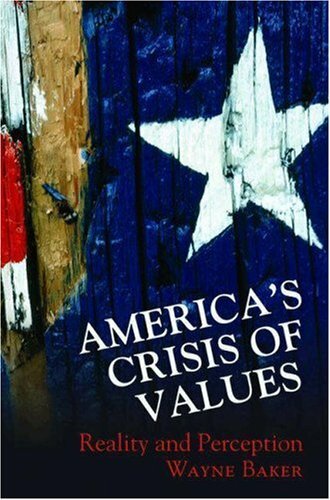 He also is working on a book-length collection of his reflections on American culture and values. In recent years, he has written about a wide range of topics: baseball, generosity, friendship, death, the Catholic church and home-made soup. You can read more than 100 of his past columns by clicking on this link. Email us at OurValuesProject@gmail.com with suggestions for Terry. And Please, we always invite you to comment (below) or to share this column on Facebook (use the blue-“f” icons). Get Out the Vote: Why are women leading the way in voter turnout? WOMEN LEAD THE NATION WEST TO EAST: The 1920 election was the first U.S. presidential election in which women were able to vote in every state, but women’s rights advocates in Western states led the nation for many years. The Wyoming Territory gave women the right to vote in 1869. More than two decades later, in 1890, Wyoming was admitted to the Union as the first state that allowed women to vote, and in fact insisted it would not accept statehood without keeping suffrage. Want to win an election? Get out the women’s vote. It’s election day today in states across the country, but you probably won’t have to worry about long lines at your polling place: Voter participation has been declining for years, especially in the increasingly important primary elections. And the declining participation rate is, once again, led by men. A week-long series here last month looked at how men are taking themselves out of the mix these days, in terms of college attendance, volunteerism and a host of other measures. They’re also not showing up to vote as often as women do. From 1920 (when women were first able to vote in presidential elections in every state) until 1980, the voter turnout rate for men was larger than that for women, according to data compiled at Rutgers University. In every presidential election since 1980, the proportion of women who voted was larger than the proportion of men who showed up, and the gap has been widening. In the 2012 presidential election, nearly 10 million more women voted than men. Does it make a difference? You better believe it. In 1992, for example, if only men voted, Bob Dole would have been elected over Bill Clinton. Why do you think women are more active voters? SHARE YOUR THOUGHTS THIS SUMMER: Terry Gallagher has written about a wide range of topics. You can read more than 100 of his past columns by clicking on this link. Email us at OurValuesProject@gmail.com with suggestions for Terry. And Please, we always invite you to comment (below) or to share this column on Facebook (use the blue-“f” icons). Get Out the Vote: Good news about old age? You’re more likely to vote. If you’re looking for a bright spot in the declining voter participation rate, look up. The numbers are clear: The older you get, the more likely you are to vote. The U.S. Census Bureau reports that more than three-quarters of Americans older than 65 are registered to vote, compared with fewer than half of those aged 18 to 24. In the 2008 presidential election, more than 70 percent of Americans between 65 and 74 years old voted, compared with just over 40 percent of those aged 18 to 24. Political scientists differ about why one group votes more than another but social pressure to conform with the expectations of your neighbors and friends definitely plays a role. “Even when you’re old enough to live in a retirement community, it turns out, there’s peer pressure,” according to a recent column by Detroit News columnist Neal Rubin. Rubin was writing about a suburban Detroit retirement community where 919 residents out of 1039 are registered to vote. And vote they do: 87 percent in November 2012, compared with an overall national rate of around 57 percent. In that year’s primary election, more than 64 percent of the residents voted, compared with around 25 percent elsewhere. HUMOR MAGAZINE ‘THE ONION’ produced this classic zombies-cause-low-turnout story some years ago. It seemed funny at the time. Kidding aside, though, voter turnout continues to shrink. At least some of them have. This week, while primary elections were held across the country, we’ve been looking at how Americans vote and what it says about the value we place on our freedom to participate in the political process. From the numbers, you might conclude that most Americans don’t think voting is all that important. In Michigan, where I vote, more than 80 percent of the eligible voters didn’t cast a ballot this week. That’s not an all-time low, but still pretty dismal, especially when it’s likely that the primary winners will be shoo-ins in the November general election. Political scientists have a number of theories about low turnout, and the possible reasons are all over the map: some people don’t vote because they believe that all politics is evil, while others don’t vote because they’re happy with the government we have now. But one major reason that people don’t vote is because they believe it doesn’t matter, that their vote won’t change anything. In fact, I thought that back when I was a teenage smart-aleck know-it-all. I thought that until I tried it out on the principal of my high school. I told him that it didn’t really matter how I voted, that elections are rarely decided by a single vote anyhow. “It matters to you,” he pointed out. And now I think of that every time I walk into the polling place. Why vote? Because it matters to you. Get Out the Vote: Who are the ‘rascals’ we want to throw out? A new “take” on “Throw the rascals out!” New York activist-artist James De La Vega adapted an existing statue to created this assemblage during the Occupy Wall Street protests in 2011. Photo by David Shankbone for public use via Wikimedia Commons. With all the disagreements we have in America, we are pretty unanimous on one thing. According to Prof. Wayne Baker’s research, cited in his book United America, 98 percent of Americans agree that one definition of freedom is having the right to participate in politics and elections. So why don’t 98 percent of us vote? Fewer than 60 percent of eligible voters have cast votes in a presidential election since 1968. Certainly one major factor is the public’s widespread distrust of politics and politicians. A 2011 poll by the New York Times and CBS found that 89 percent of Americans don’t trust the government to do the right thing, the highest level of distrust of government ever. No doubt that political alienation means that fewer people want to participate in any the political process in any meaningful way, including voting. “Don’t vote: it only encourages them,” is the catchphrase for that sentiment. Tracking down the origin of that expression isn’t easy since so many people take credit for coining it, widely repeated by bloggers, newspaper columnists and stand-up comics across the English-speaking world. On the other hand, those who distrust government might want to vote to “throw the rascals out.” That slogan has been part of the American vernacular at least since it was used against the Grant administration in 1872. One wrinkle to that way of thinking though? If we have to keep throwing the rascals out every election day, maybe the problem isn’t the rascals. What do you think about the trends we’ve examined this week? Did you vote this week? Will you vote in November? SHARE YOUR THOUGHTS: Terry Gallagher has written about a wide range of topics. You can read more than 100 of his past columns by clicking on this link. Email us at OurValuesProject@gmail.com with suggestions for Terry. And Please, we always invite you to comment (below) or to share this column on Facebook (use the blue-“f” icons). Get Out the Vote: Can we kick start American voters? NOTE FROM DR. WAYNE BAKER—Columnist Terry Gallagher has been exploring Americans’ apparent voter apathy and, after last week’s low voter turnout, he will look at some creative ideas for kick starting American interest in voting. Our recent primarily elections saw dismally low levels of voting participation. And with the way that district boundaries are drawn these days, the primaries are increasingly important to determining who will get elected in November. So our representatives in our state capitals and Washington are almost always chosen by a majority of the less than 20 percent of eligible voters who show up to vote in the primaries. But so what? What difference does it make if people are so apathetic about the political process that they can’t be bothered to vote? One simple reason to be distressed about low turnout is that it threatens democratic government itself: If more people do not participate, the government will be controlled by smaller and smaller groups with a vested interest in one candidate or policy. FairVote and numerous other groups have advocated dozens of ways to increase turnout, reforms like making voting registration easier; extending hours polling places are open and expanding opportunities for absentee voting; even on-line voting. FairVote also recommends a new “National Curriculum” that could build fresh interest in voting. The curriculum includes lessons about how much voting mattered in the American civil rights movement—and it also includes images like “Voting Rocks” photo at the top of this column. What do you think? Is low turnout a problem? Should we make it easier for people to vote? What reforms would you suggest? Get Out the Vote: 20 years after Motor Voter, should voting be even easier? NOTE FROM DR. WAYNE BAKER—Columnist Terry Gallagher has been exploring Americans’ apparent voter apathy and, after last week’s low voter turnout, he is looking at some creative ideas for kick starting American interest in voting. THE 1993 MOTOR VOTER ACT faced complex problems. On its 20th anniversary, Congress commissioned this 39-page analysis of the policy. Click to read that report. When so many potential voters stay away from the polls—only around 20 percent of registered voters cast ballots in last week’s primaries—is that a problem that needs fixing? “There could be a number of reasons for (low turnout), including general disgust with the tone of politics, less of a belief that a vote matters, or the fact many families have a number of other obligations competing for their attention,” a member of the Michigan legislature wrote in Bridge, an electronic publication, at the end of July. Among his suggestions: allowing all voters to cast absentee ballots without giving a reason, allowing early voting, and requiring employers to give employees time to vote. The last major initiative to expand participation was more than 20 years ago, the National Voter Registration Act of 1993, known as “Motor Voter” because, among other things, it requires states to offer voter registration to anyone who applies for a driver’s license. After it took effect in 1995, the predictable result was that voter registration went up. The unpredicted result was that increased registration didn’t increase the voter participation rate. If you care to dig even deeper into the impact of the 1993 Act, the Congressional Research Service published a 39-page analysis at the 20th anniversary of the law. The report says there are a lot of complex, unresolved issues in making the law work effectively. Should we make it easier to vote?